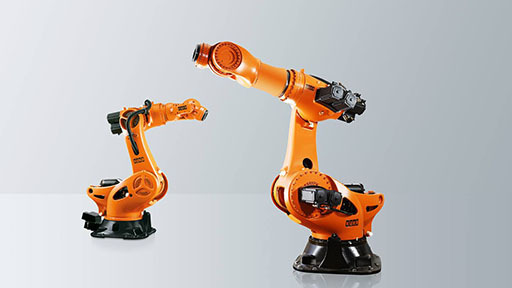 Guangdong, China, 9 January – Midea (Midea Group Co Ltd, SZSE 000333), a leading major appliances producer, announced on December 30th, 2016, the successful acquisition of KUKA AG (KUKA), a leading global supplier of intelligent automation solutions, by its subsidiary MECCA International (BVI) Limited. This strategic partnership will capitalize on growth opportunities all around the world to unlock the full potential of robotics and automation. Paul Fang, Chairman and CEO of Midea, commented: “KUKA’s global leadership and expertise in the field of robotics and automation, combined with Midea’s exponential global growth, industrial base and logistics operations, and understanding of consumer markets, will enable the creation of intelligent machines and smart factories that usher in a new era of robotics-based manufacturing, with unlimited applications across industries such as process manufacturing, healthcare, smart home, security, and education,” Mr. Fang said. Robotics penetration is on the rise globally. According to the International Federation of Robotics, by 2019, more than 1.4 million new industrial robots will be installed in factories around the world, with China having the strongest growth drivers for the robotics industry. “Rising labor costs and an ageing population not only in China but globally offer vast opportunities for Midea and KUKA to improve factory automation in many countries and strengthen Midea’s future manufacturing capabilities,” Mr. Fang added. Complete terms and conditions of the acquisition can be found on: www.partnershipinrobotics.com. Established in 1968, Midea (SZ:000333) is a publicly listed and, since July 2016, Fortune 500 company that offers one of the most comprehensive ranges in the home appliance industry. Midea specializes in air treatment (HVAC for B2B and B2C), refrigeration, laundry, large cooking appliances, small kitchen appliances, water appliances, floor care and lighting. Headquartered in Southern China, Midea currently operates with over 100,000 employees, 21 production facilities worldwide and 260 logistics centers in more than 200 countries. Almost 50 years of persistent growth has brought its global revenue to $22.17 billion USD in 2015. Today, Midea is the world’s largest producer of major appliances and the world’s #1 brand of air-treatment products, air-coolers, kettles and rice cookers. Midea every year wins 40+ design awards at different global design shows like reddot, iF and Good Design Awards. Midea’s brand promise is “to provide surprisingly-friendly solutions for the one who treasure those tiny moments at home” and the 2016 launched slogan summarizes that in “Midea - make yourself at home”. Midea has landed several high-profile projects, including the 2016 win to install sophisticated HVAC (Heating Ventilation Air Conditioning) solutions in all the 12 stadiums for sports games in Brazil. Furthermore, Midea is the proud official home appliance sponsor of FINA (the World’s Swimming Federation).